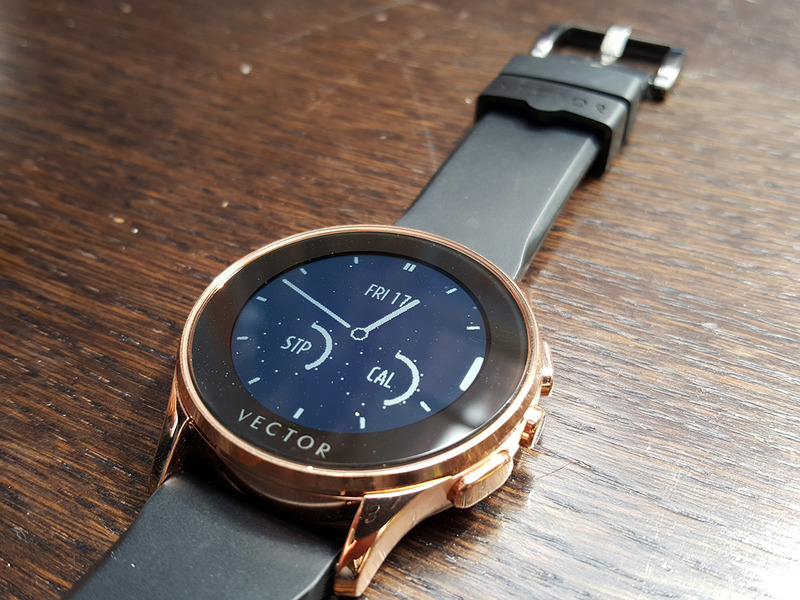 Back in March the Vector — a smartwatch with an e-ink LCD screen — made its debut in a number of reviews in the tech press. Of note was the unusual 30-day battery life and a smartphone control app which worked across iOS, Android and Windows phones. What wasn’t elucidated in detail at the time was that the startup not only planned to release an API to developers, allowing them to create their own apps and faces for the watch, but also to use this momentum to create other kinds of wearables for enterprise, as well as consumer use. The Vector is billed as a good-looking, ‘watch first’, but with ‘smarts’ added. That said, it’s also building its own wearable operating system that connects with the three big mobile platforms. First off, Vector has come up with the concept of ‘streams’. These are pieces of ‘glanceable’ information that can be placed on the face of the watch, as well as fully interactive apps. Streams will be able to employ notifications from IFTTT, Nest, Music and Evernote, for example. The ‘watch first’ approach is reflected in the fact that we are talking about a fully stainless steel case, hardened mineral glass and 50m water resistance. The designs consist of stainless steel cases, round and rectangular, black and white, ‘always on’ displays. It comes in Rose Gold, Champagne Gold, Stainless Steel, Black Plated with leather, stainless steel or sport straps. The watch has ‘weight’ and feels like a quality piece of engineering when worn on the wrist. And because the face, unlike the Apple Watch, never switches off — thanks to its low-energy screen — it could almost pass for a high-end luxury mechanical watch. The company claims the Vector has a 30-day battery life — a rarity among smartwatches, with the Apple Watch famously needing to be re-charged almost every day under heavy use. Those 30 days means the Vector can be use used more practically as a fitness tracker (steps and calorie counting, plus sleep) as well as a normal watch. The full collection will be available to purchase from September from the site. Prices for the Performance and Contemporary models start from £219/$249/€299, whilst prices for the Classic models start from £349/$399/€499. Once paired via Bluetooth Low Energy, the watch is configured from the companion app. The Vector does the standard smart watch things. It displays SMS and Facebook messages, with notification management via the phone app, as well as incoming calls (which you can accept or reject), though not answer directly from the watch. As mentioned above, a developer platform is coming which sill allow integration with notifications from many other apps, such as Evernote, Sonos and Spotify. In operation, the watch displays notifications with a quick vibration but only displays the information if you lift it to your gaze within 10 seconds, thus affording some privacy around notifications. A useful aspect is that it will display Calendar appointments as marking over the hour you have them, thus displaying also the gaps in your day. Driven buy an OS with a Kernel which requires only low power, the aim is to run as little as possible on the watch, and instead draw more information from the Cloud. It features an Accelerometer and Gyroscope, as well as some temperature sensors which will be engaged with newer applications down the road. Vector was started by Founder and CTO Andrei Pitis, based out of Romania, who began two years ago with a $2 million seed round from the Gecad fund. Pitis was formerly an Angel investor in Clevertaxi and I-Rewind, and co-founder with Bogdan Iordache of Tech Angels and Innovation Labs in Bucharest. The firm is currently raising a Series A round of funding. Pitis has brought on Joe Santana (the former CEO of iconic watch brand Timex) and Steve Jarvis as design director. Based out of Portland Oregon, Jarvis was a creative lead on projects with Timex and the Nike FuelBand, so has many years experience moving from the traditional watch design industry to the smart wearables world. COO Ron Spencer — former COO of Bulova, Fossil — completes the line-up. The team is spread between London and Romania with a lot of activity in other geographies, but the HQ is in London. An SF office is planned.